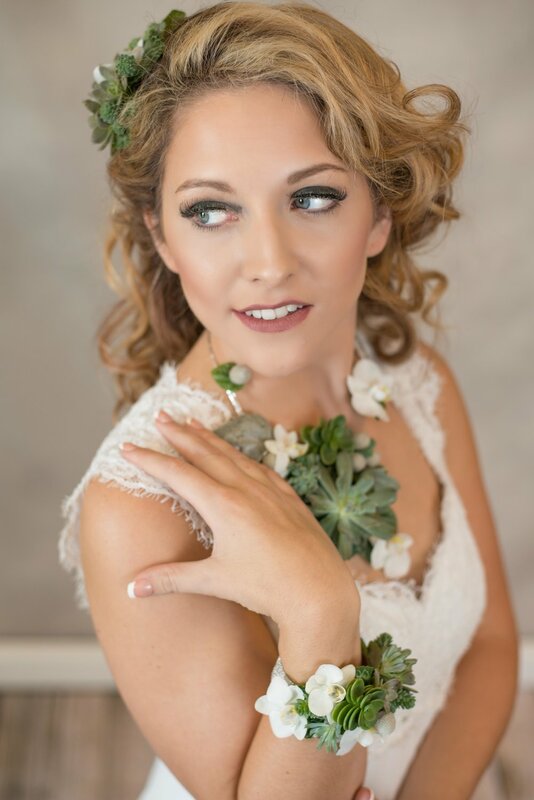 Some of you may have seen the floral necklaces, bracelets and head pieces I made and wore for the last Chattanooga Pink Bride Show in July. 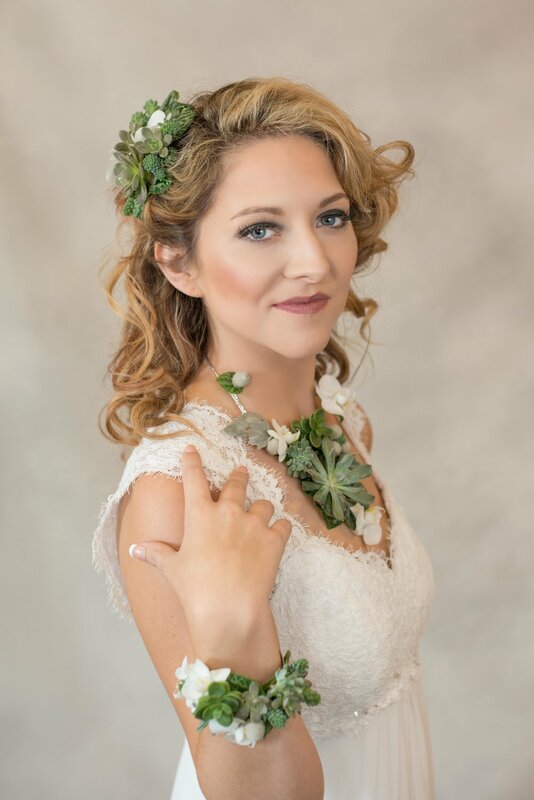 Those designs led to an invitation from Brittany at Life With a View Studio to make some designs for a professional photo shoot. 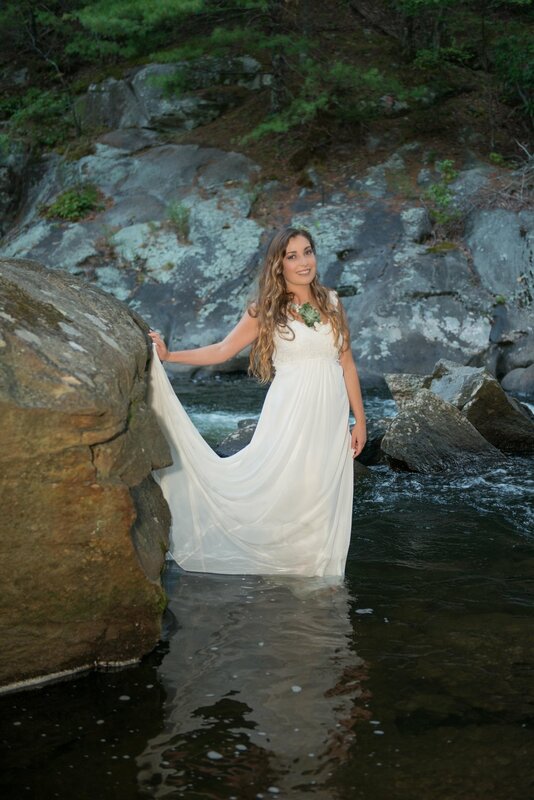 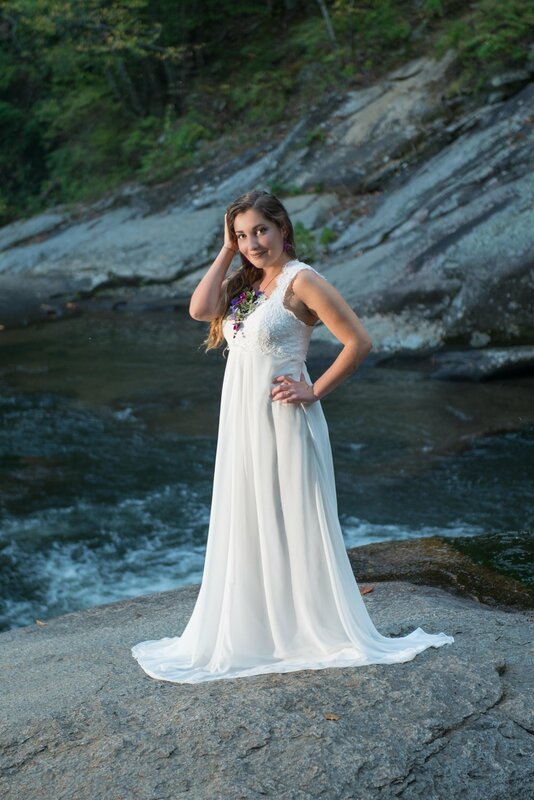 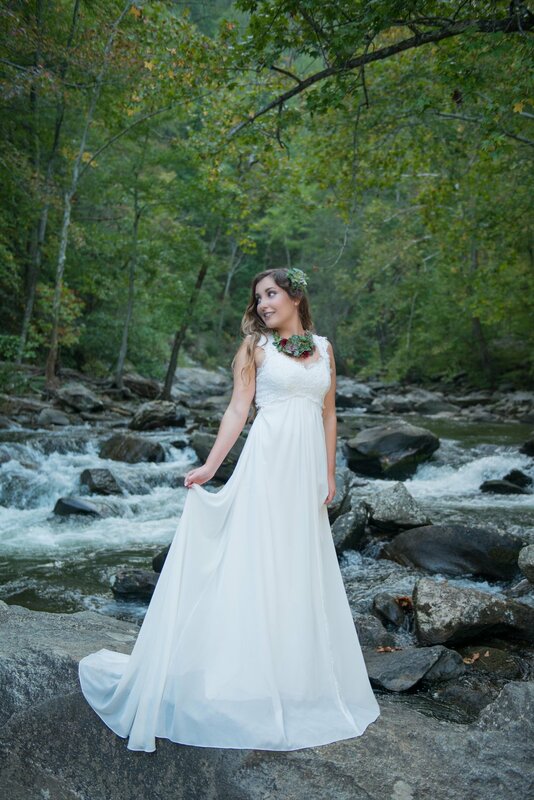 We had two models, one in Brittany's studio in town and another out at Baby Falls in Tellico Plains, TN. 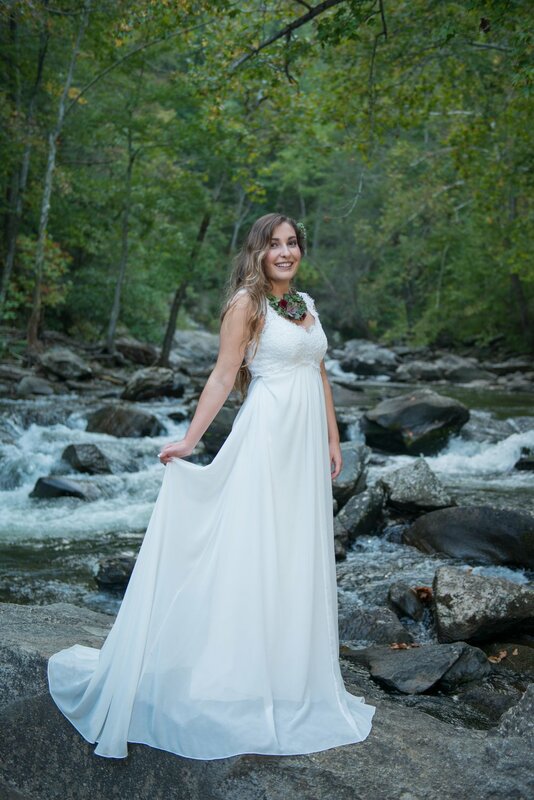 This location is a beautiful spot for bridal portraits, or an elopement style wedding (my husband and I got married just upstream from this very spot 4 years ago!) 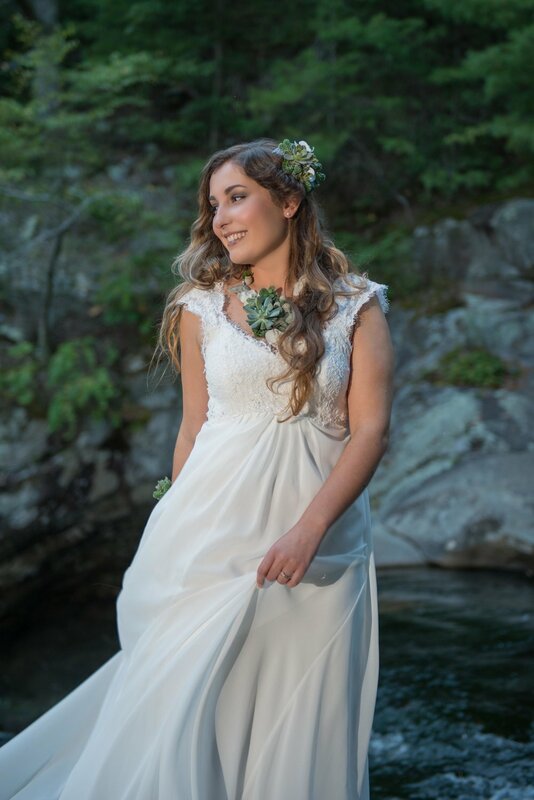 A bride standing next to the falls was just as spectacular as I had imagined, and botanical jewelry was the perfect floral accent to this setting. 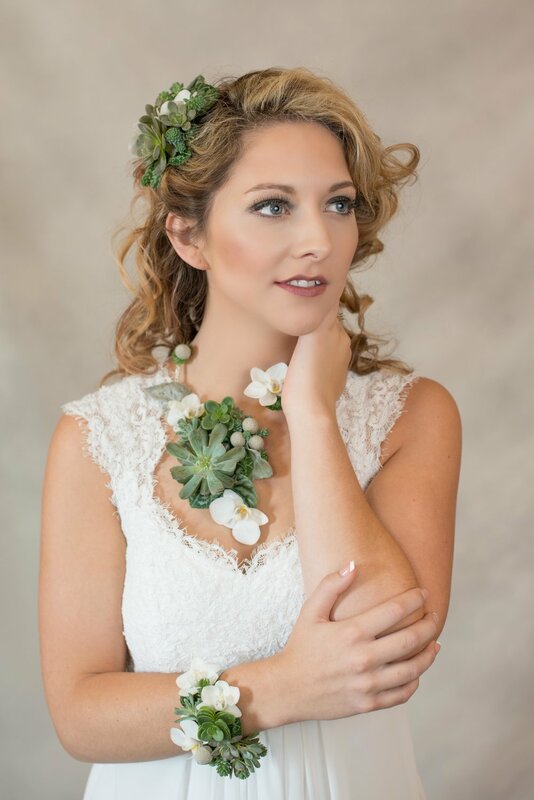 If you want something different and special for a wedding, either for the bride or for bridesmaids or mothers of the bride and groom or for prom flowers contact me to talk about a custom order. 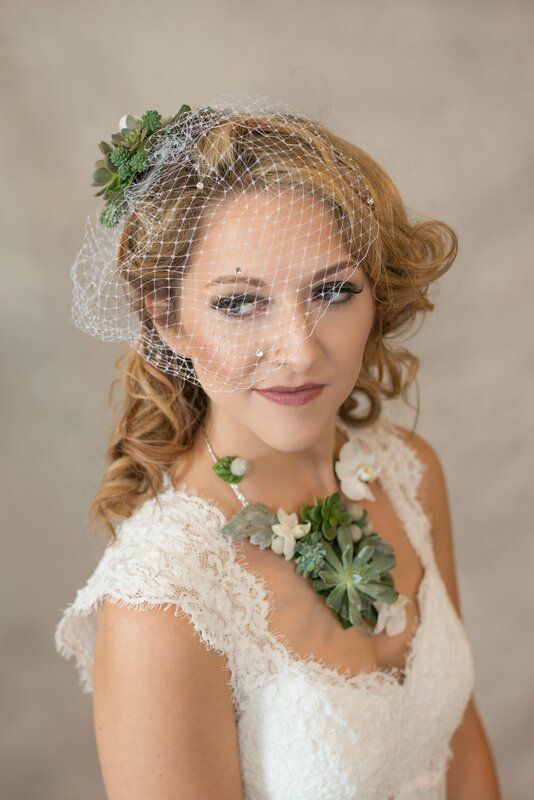 These are living botanical pieces that require advance ordering for custom planning and design. 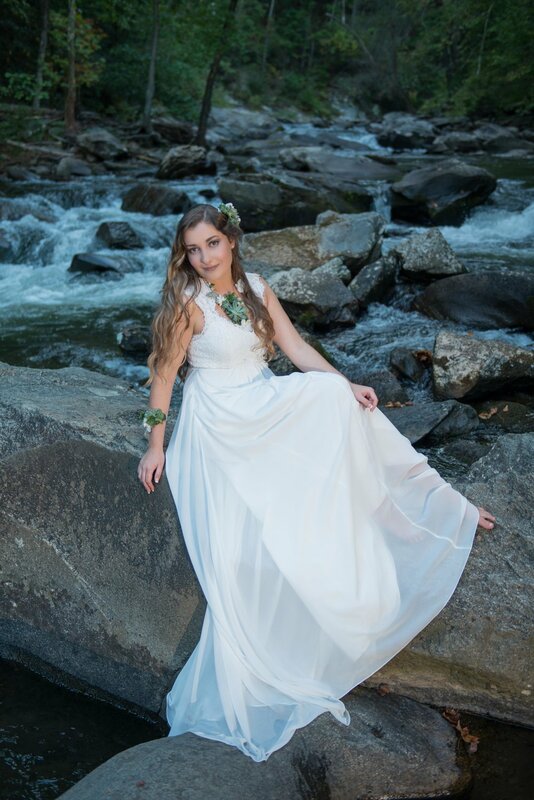 A special thank you to Marissa for hair and makeup and Becca (falls model) and Holly (Studio Model) for modeling.